msa Compliant 56gbase-cu Qsfp+ To Qsfp+ Direct Attach Cable (passive Copper, 1m). 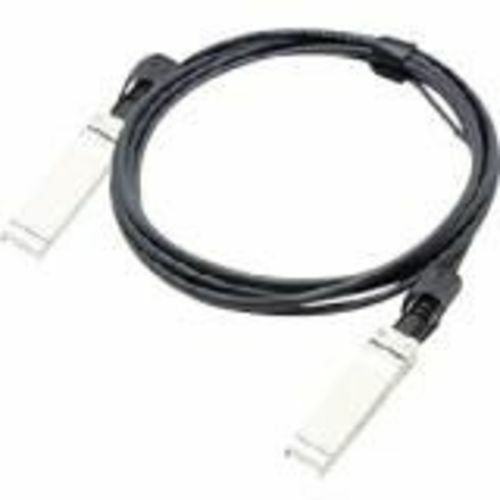 A Msa Compliant 56gbase-cu Qsfp+ To Qsfp+ Twinax Direct Attached Cable That Operates Over Passive Copper, With A Maximum Reach Of 1.00m (3.28ft). This Twinax Cable Has Been Programmed, Uniquely Serialized, And Data-traffic And Application Tested To Ensure It Is 100% Compliant And Functional. Our Direct Attached Cable Is Built To Comply With Msa (multi-source Agreement) Standards. The Actual Part Shipped May Have A Different Part Number, But Will Be Functionally Identical And 100% Compatible. Trade Agreements Act (taa) Versions Of This Part Are Available.